« Older: 2014 Lobster Fest is a go! 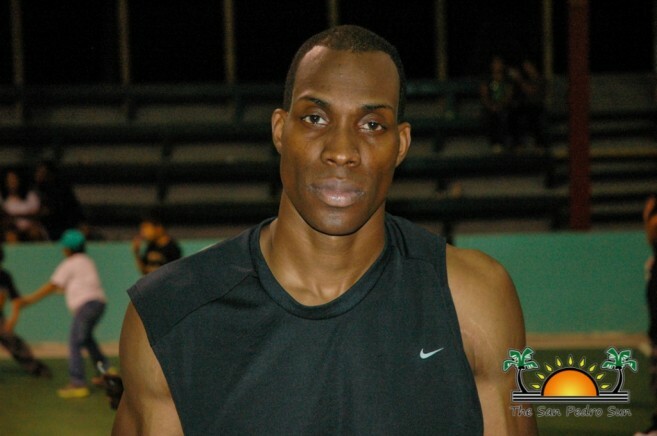 The San Pedro Tigersharks continued their winning streak in the National Elite Basketball League after they defeated the Belmopan Bandits in week 12 of the regular season. The Tigersharks gave up their home advantage and took the game to the University of Belize Gymnasium on Friday May 2nd for the rematch. After a tough game, the islanders came out victorious, continuing their lead in the NEBL. In the first quarter of the game, Christian Rodriguez of the Bandits stole the ball from the Tigersharks to give the home team the first two points of the match. Michael Adams tried his hand at the basket and missed, but picking upthe slackwas Tigersharks’ Darwin Leslie who scored the equalizer. He returned with another two-point shot and the San Pedro Tigersharks took an early lead. When the Bandits’ Adam Carswell attempted to pull a fast one, Adams blocked his shot to keep the score six apiece. 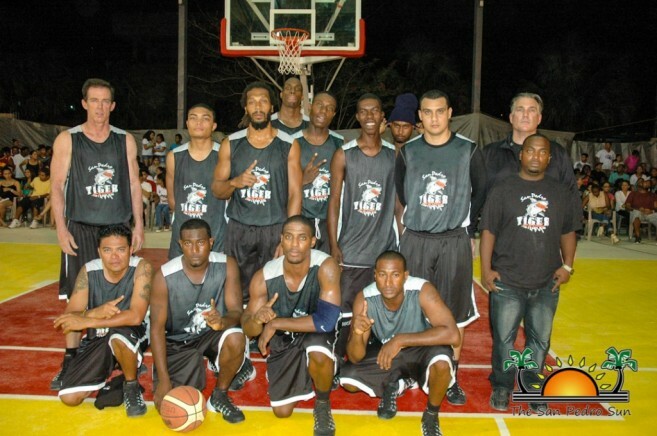 The Tigersharks put on their veteran player Rico Black, who skillfully shot a three pointer before the end of the quarter, putting the game at 14 to 13 in favor of the visiting team. In the second quarter Michael Adams stretched high in the air and slammed the ball into the net to begin extending the lead. But the excitement was short-lived, as Abdulaziz Sanderson capitalized from a bad pass and netted a three-pointer. 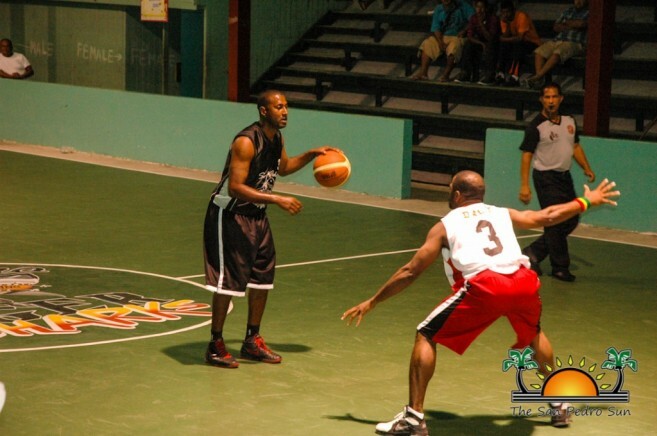 On the defensive attack were Tyrone Edwards, Jamal Kelly and Winston Pratt, who were fed by Adams and Black, and thisattack team of five took advantage of some costly Bandits mistakes, scoring six straight points. The Bandits brought back out their big guns onto the court, and at halftime they closed up the wide score gap to 39-36, but it was still in favor of the Tigersharks. The third quarter saw a different Tigersharks team coming out of the break room. Tyrone Edwards drew first blood when he picked up the ball in a turnover and struck at the Bandits with a two-point shot.Seconds after, Winston Pratt picked up from defensive rebound and raced across the court to score another two points for the islanders. Far into the third quarter, when Leslie, Edwards and Pratt led the charge, they were a force to be reckoned with, as the trio strategically shared the ball to confuse the home team. But the Bandits’ main player Christian Rodriguez was not giving up, and he responded with a series of successful shots. However the trend was set in favor of the Tigersharks, and the third quarter ended with a score of 58-48. The excitement rolled over into the fourth quarter as Abdulaziz Sanderson placed the first two points on the scoreboard. Stephen Williams was brought into the game to add pressure on the Tigersharks, but he was no match for Jamal Kelly and Michael Adams, since fatigue had begun settling on the home team. Like the “tuff” survivors that they are, the Tigersharks took big bites and chomped on the Bandits. Seconds before the end of the game,Black scored a two-point shot to call it a deal, and when the buzzer went off, it was 84 to 70 in favor of the San Pedro Tigersharks. Player of the night was Christian Rodriguez, who raked in 20 point for the Bandits. Jamal Kelly and Michael Adams both scored 18 points apiece for the Tighersharks and they must be commended for their spectacular performances. On May 10th the Tigersharks will play the DangrigaWarriors ina Mother’s Day visit in week 13 of the NEBL. 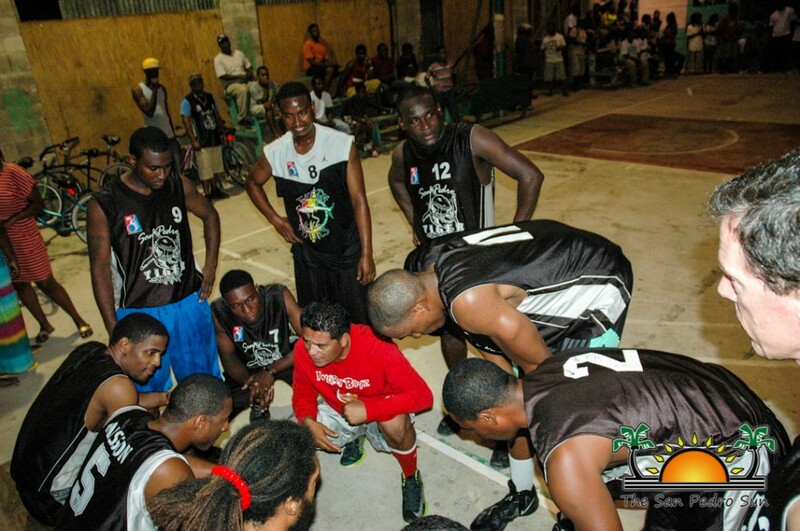 Game time is set for 8PM at the Ecumenical High School in Dangriga Town. We wish the San Pedro Tigersharks all the best! San Pedro Tigersharks take a bite out of the Toledo Diplomats! It’s a blowout: Tigersharks beat the Corozal Heats 79-54! !